Strategy for Playing Online Bingo? 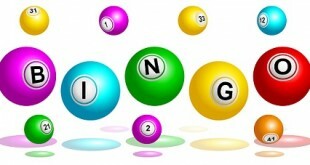 Online bingo is a very entertaining way for bingo enthusiasts to spend their time. However, not only is the game a lot of fun, but it also allows players to enjoy themselves while having the chance to win some extra cash. This means a player will want to do what they can to increase their odds of winning. Bingo is a pure game of chance, however, the bingo strategy in this article is a great way for players to start because it’s simple, yet it will help players to see the results they would like. Bingo Strategy – Is there such a thing? 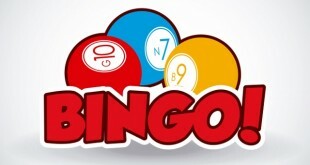 The very first thing an online bingo player should do is to get very familiar with the site they chose to play on. This means learning about its bonuses, promotions, and any reward programs it may have in place. Players will want to use these things in order to get more cash into their online bingo account. Any extra money they get in their account can be used to play more games. This alone will help them to increase their odds of winning. Players do want to be sure to learn how to clear the bonuses so they can get the money as quickly as possible. Some of the promotions may come in the form of free bingo cards which is also a good thing. Players should learn about the different features they can make use of while they are playing. One of the great features is having the ability to put the game in auto-play mode. When the game is in auto-play, the computer will keep track of the letter/number combinations and the player’s cards. This means the player won’t have to worry about missing out on a chance to mark a box by not catching the combination when it is announced. This is great when a players mind may be on something else while they are playing. Players also need to be sure they never play more than they can handle, never play when they are on mind altering medications or have been drinking, always play within their budget, and choose a well respected online bingo site to play on. Most of all an online bingo player will want to be sure they have selected an online bingo site they can get excited about playing on. If a player doesn’t truly like the online bingo site then they won’t go on it very often and if they don’t play, they can’t win. So although there isn’t a true bingo strategy where you can tilt the odds in your favour, there are a few things you can do to make sure you grab any possible prizes coming your way.